I work with children, adolescents, and young adults. I enjoy a collaborative approach and love using sandtray therapy and EMDR! When a life-changing event happens, it can feel like your world is turned upside down. You might reassess relationships, shut down or act out, or simply see the world in a new light. You may find yourself asking, “who am I?” You might grieve the loss of the person you once were, or the child you once knew. I help children, adolescents, and young adults with life transitions. traumatic events (such as car accidents), grief, depressed & anxious mood, and school or job difficulties. I received my Master of Social Work from Washington University in St. Louis and bachelor's degree in psychology from The University of Illinois in Urbana-Champaign. 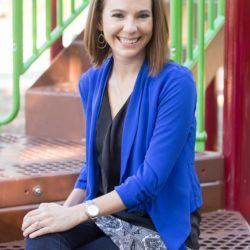 I am licensed in both Illinois and Connecticut and I am a Certified School Social Worker in both states as well. I often engage clients in expressive arts– including, but not limited to Eye Movement Desensitization and Reprocessing (EMDR), sandtray therapy, art, and play. I offer long and short-term therapy to individuals, groups, and families in a safe and nurturing environment. I enjoy a collaborative approach to developing and meeting goals for you and your family, as well as understanding your individual strengths and challenges. I believe that everyone deserves a safe place to share their inner world, free of judgment or shame. With a combination of a welcoming and containing physical space (my office), in addition to my warm and nurturing presence, my goal is for you to feel heard and accepted throughout the course of therapy.